The last couple of #measurePR chats have been interesting. A few weeks ago, we resumed our chat via a “community” edition, i.e. where we literally just chatted about measuring our favorite subject, PR. There weren’t any guests, or any set agenda – just… us. 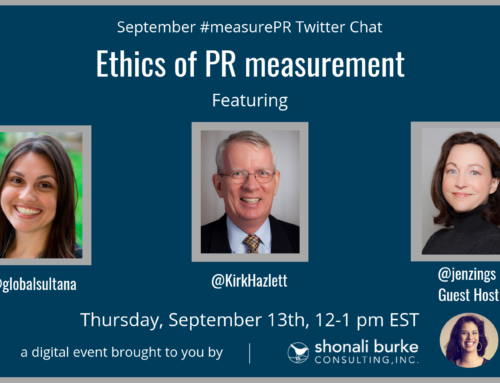 You can get the June #measurePR community chat transcript here. Then, last week, we were extremely fortunate that Lee Odden was able to join us, to talk about the confluence between SEO and PR measurement. I can’t imagine you don’t know who Lee is. He’s an all-round brilliant (and nice) guy, CEO of TopRank Online Marketing, and one of the people who doesn’t just get PR and SEO, but the measurement aspect as well. So it was really great that Lee was able to take time out of his busy schedule to join us. 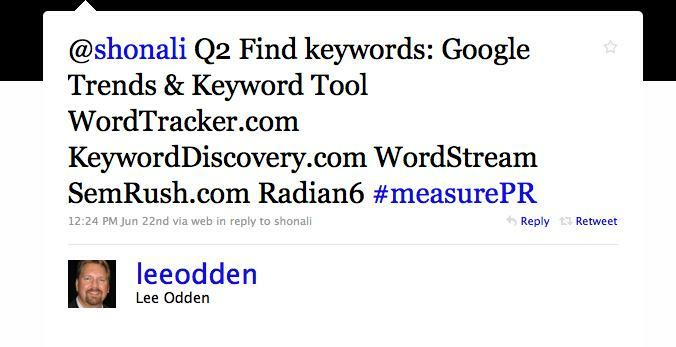 Check out this great resource (among many) that Lee gave us: top 10 SEO tips for PR professionals; you can download the full transcript of #measurePR: the Lee Odden edition here. 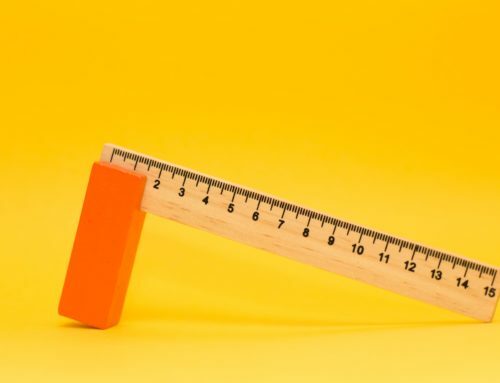 And I hope you’ll join us next Tuesday, July 6, (12 – 1 pm ET) when Katie Paine, the undisputed queen of measurement, will return for an encore performance at #measurePR.